The housing market is always changing. Your home’s value could be fluctuating based on any number of things, from its curb appeal to the value of a neighboring home. 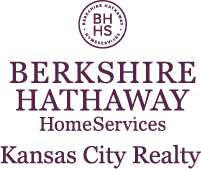 That’s why Berkshire Hathaway HomeServices Kansas City agents are good to know. We’re always on top of Kansas City market trends, specific neighborhood trends and have access to unique tools that let us price and market your home accurately. Working together, your home will be placed on the market ready to sell. Call us today for a seller’s consultation. Find out what your home may be worth by getting a free Home Value Report below. This is a great first step to see what’s happening in your area. Then, connect with a good to know agent for a more in-depth look into your specific home and neighborhood. After all, they are the local Kansas City experts.